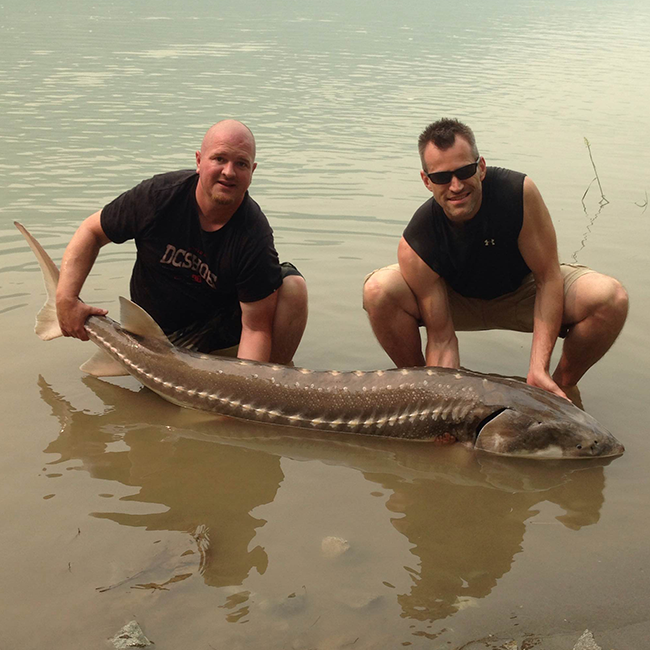 The White Sturgeon is North America’s largest fresh water fish. These bottom feeders look like they would move fairly slow, and they do, until they are hooked! Then it’s like being hooked to a train. Their power is unmatched by any other fresh water fish. These fish will jump as well, which is my favorite part. Sometimes, multiple jumps occur and is very exciting to watch. The average size is between 100 and 300 lbs, with some exceeding that size easily. 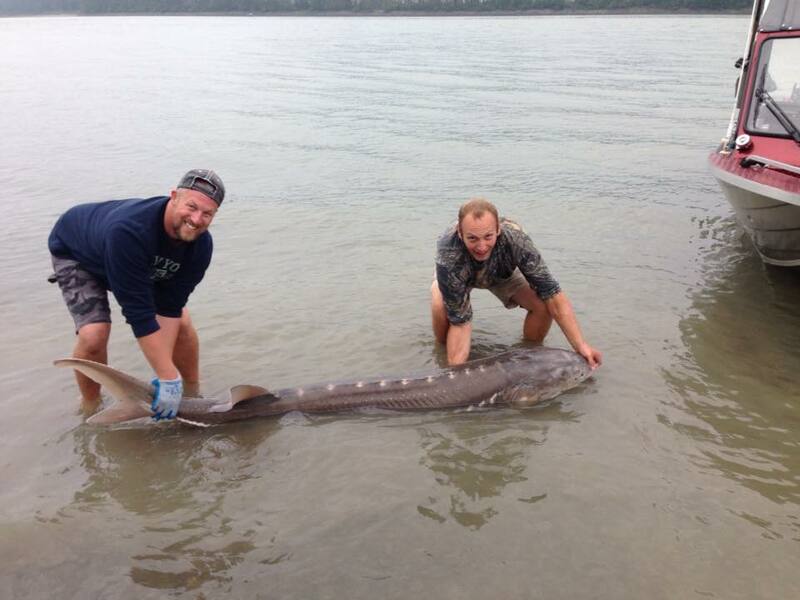 Our largest sturgeon to date is 11′ 6″ and had an amazing girth of 64″, the estimated weight would be in the neighborhood of 900-1000 lbs. It was a fish of a lifetime, and a day I will never forget. 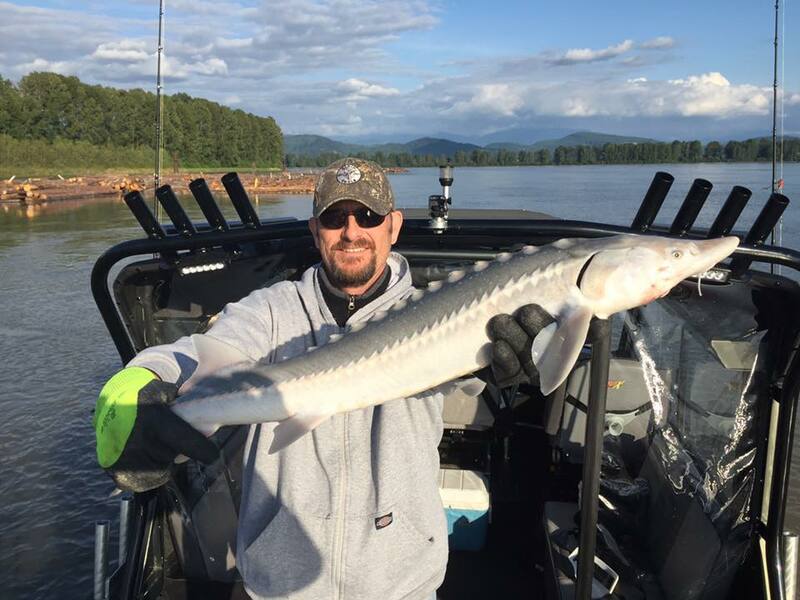 Although it was an incredible day, my favorite size of sturgeon to catch is between 6-8 feet because they usually put up the most exciting fight with a few long runs and multiple jumps. It is truly an amazing feeling. 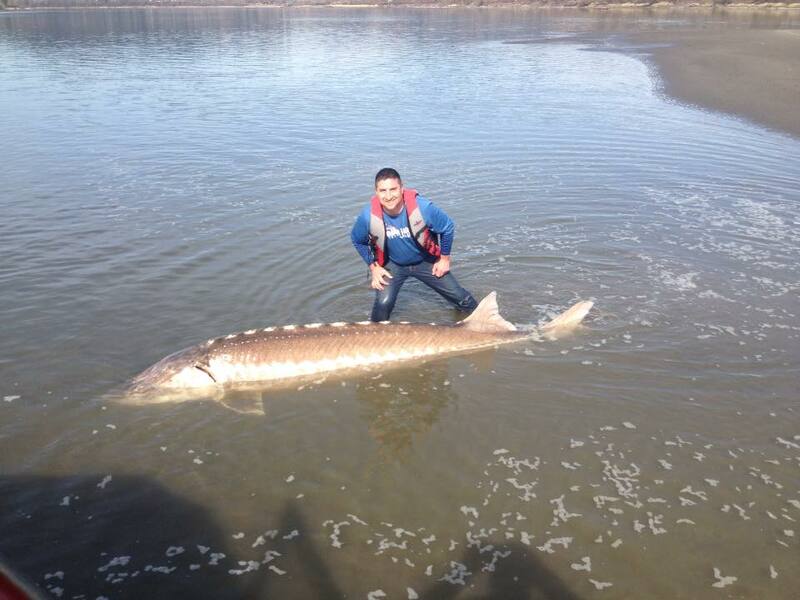 I have been fishing for sturgeon for about 10 years now and I still get butterflies in my stomach the night before I head out. I just love how you just never know what the Fraser has in store for me that day! 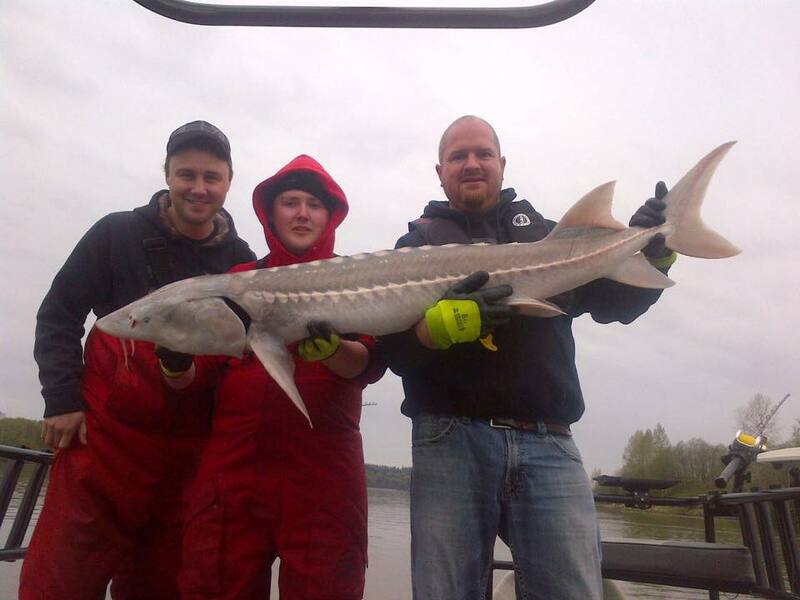 Come on out and see what the Fraser River has waiting for YOU! Give us a call to book your adventure today! © 2016 - Reel Fishing.